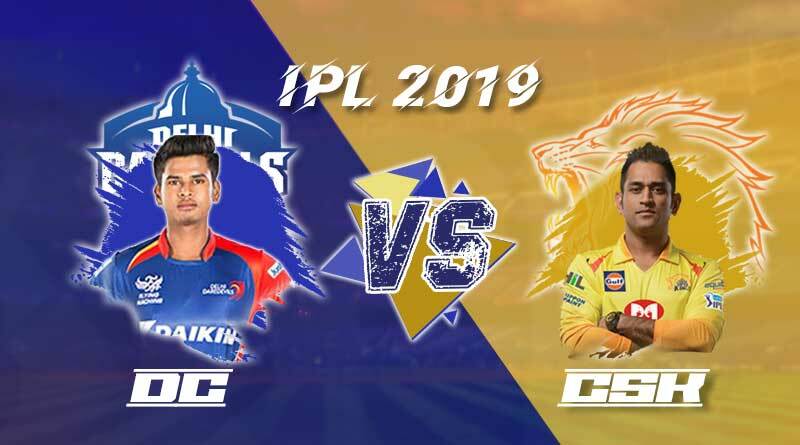 Having blown away their respective counterparts in their opening matches of the riveting Indian Premier League, Delhi Capitals and Chennai Super Kings will face each other on March 26 for the fifth match of the tournament. Moving to Feroz Shah Kotla, the most celebrated domestic tournament in cricket will see the top two sides in the league till now take to the pitch to assert the first place position for themselves. Coming about in different manners, both the franchisees had registered comprehensive wins for themselves in their league opener. Playing on one of the most contentious and turmoil of tracks this season, CSK’s spin-heavy bowling department had cleaned apart RCB, bowling them out for a meager 70 to ease into an easy 16th win against the Virat Kohli lead side. With three frontline spinners in their bowling line-up, the combination could well play out to be another decisive factor for CSK at the Feroz Shah Kotla. A pitch that has over time seen the ball not come onto the bat, staying low with the ball drifting in for the spinners who find it extremely tough to get under the ball. Jadeja, Imran Tahir and Harbhajan will make the most of the conditions available and with no wetness expected with summer having made an inroad, the balance swings marginally in CSK’s favour. Delhi, on the other hand, have an extremely explosive batting line-up and if they can repeat their exploits of the opening match, CSK will find it tough to contain their rapturous batsmen. Pant and Ingram both went bonkers the last time around, showcasing why this revamped Delhi side can decimate any bowling line-up. The one area of concern for the capital outfit though is the relative inexperience in the side, with the young players albeit known for their flashy shots, not inducing the most of consistency. The battle on the day will come down to between DC’s batting heavy unit and CSK’s slower bowlers. It will be the decisive moment in the match and if the hosts can negotiate around the 12 overs of slow bowling without many causalities, it promises to be a close encounter. Shane Watson, Ambati Rayudu, Suresh Raina, Faf du Plessis, MS Dhoni (c & wk), Kedar Jadhav, Dwayne Bravo, Ravindra Jadeja, Deepak Chahar, Harbhajan Singh, Imran Tahir. Shikhar Dhawan, Prithvi Shaw, Shreyas Iyer (c), Colin Ingram, Rishabh Pant (wk), Keemo Paul, Axar Patel, Amit Mishra, Kagiso Rabada, Trent Boult, Ishant Sharma, Colin Munro, Sandeep Lamichhane, Avesh Khan, Rahul Tewatia, Hanuma Vihari, Ankush Bains, Harshal Patel, Jalaj Saxena, Manjot Kalra, Sherfane Rutherford, Nathu Singh, Bandaru Ayyappa. For more articles like ‘Delhi Capitals Vs Chennai Super Kings Preview’, do follow us on Facebook, Twitter, and Instagram.